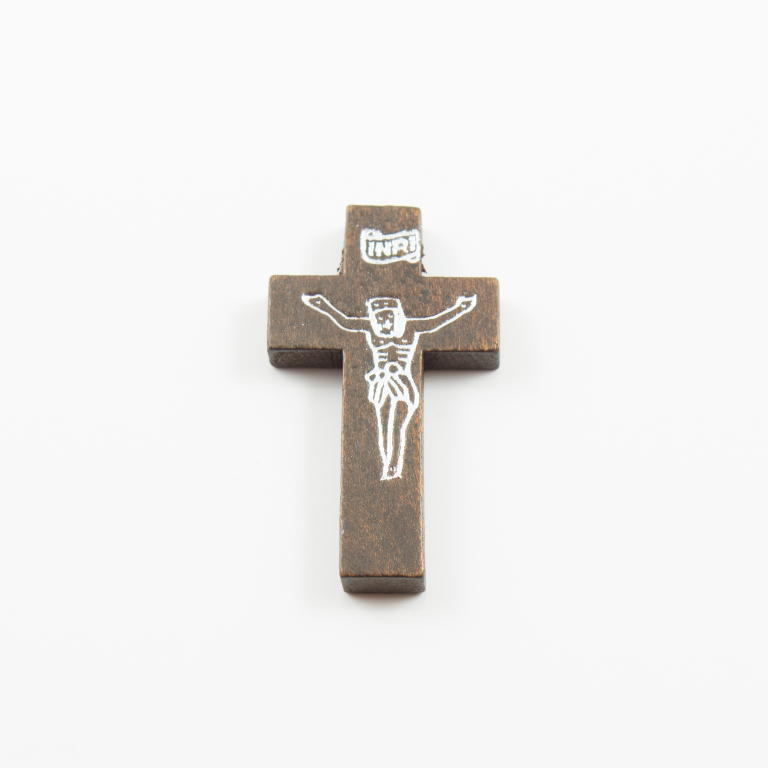 Wooden cross in dark brown color decorated with Jesus in silver color. Ideal for necklace decoration. Dimensions 4.1x2.4cm.